Street art while illegal, gives artists a way to use the world as their canvas. Countless amounts of beautiful works of art have all been created on buildings for the world to see. 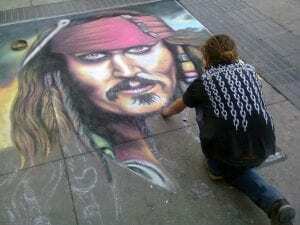 The street art phenomenon is certainly not limited to one place. It’s a globally recognized scene with plenty of underground artists like Alec Monopoly, Cope2 and one of the biggest names today, Banksy, whose identity is still a mystery among the art world. Below are 10 of the best countries to find street art from some of these famous artists. The U.S. is home to some of the greatest street art in the world. 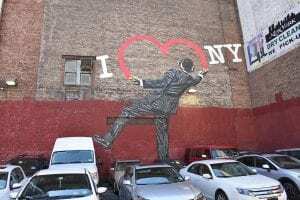 The most abundant amounts of street art can be found in big cities like New York, Los Angeles and Miami. With Miami being a big destination because of its Art Basel event, it features some of the most vibrant pieces. The countless amounts of buildings in New York makes for impressive canvases like the one below. Mexico City has been home to some of the greatest works of street art. 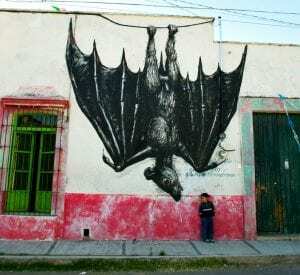 Street artists from all over have traveled to Mexico leaving a piece of their art in each of their cities. It became the hotspot for the Belgium artist ROA who left works like the one photoed below. The traditional styled concrete buildings feature piece after piece of incredible art. London is such a renowned area for street art that there are even organizations that set up tours of the famous works. 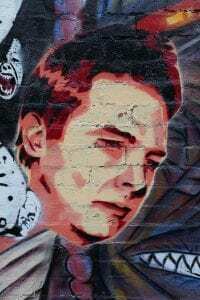 Art fans would be able to see a piece of work from almost every single renowned street artist including that of the famous Banksy, who continues to redefine what it really means to be unknown. Like many of the other previously mentioned countries, Chile happens to be very much a part of the street art culture. 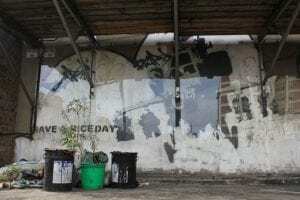 While graffiti is present, there are also countless murals and incredible paintings done on buildings, stairs, sidewalks and pretty much any space an artist can find. Chile is without a question one of the best places to find awesome street art. France might be home to the Louvre and some of the worlds most coveted art, however it is also home to some of the best street art. 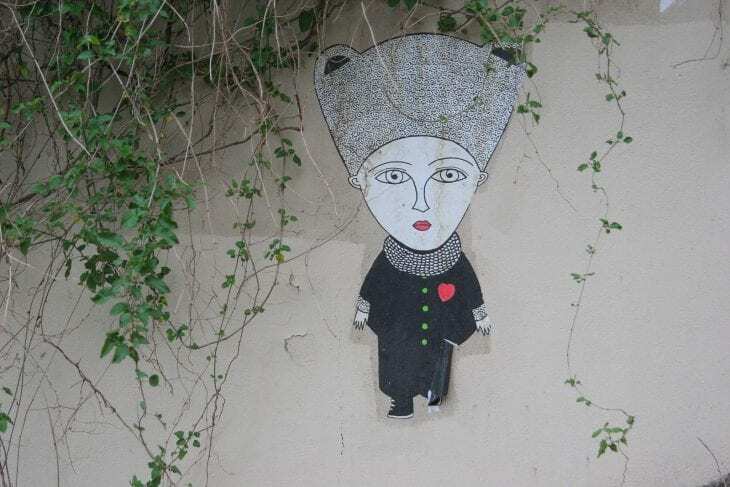 Some of the most abundant amounts of street art in France can be found in Montmartre where the walls are lined with various works of art and in some cases artists, many of whom populate the area. Brazil is home to some marvelous displays of street art. Whether it is Rio De Janeiro or São Paolo, you can find some spectacular pieces on display. Last year the Huffington Post celebrated one of Brazil’s most famous street artists, Eduardo Kobra, whose work can be seen all over São Paulo. His work is used to address various social and political issues in Brazil. 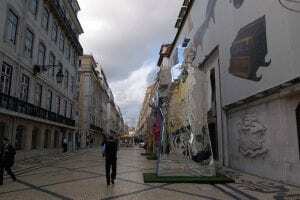 Lisbon, Portugal is one of the most artistic cities in the world. The streets are filled with art and some of the murals are so large they take up almost the entire side of a building. It is a city that is rich in culture, which always translates to amazing pieces of art. 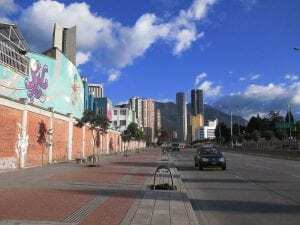 Bogotá, Colombia has been regarded as one of the most popular cities to find street art. Roadways, buildings, alleys you name it, they are are full of bright and vibrant works of art that are a reflection of the colorful and eclectic city. Street art in Australia dates back to the 70s and 80s and continues to blossom in the country today. Melbourne, one of the most popular cities in Australia has some of the highest concentrations of street art. Subjects range from athletes to pop icons and beyond. The photo below comes from the mysterious world of pothole art in Russia. However, pothole street art isn’t the only type you’ll find in the country. 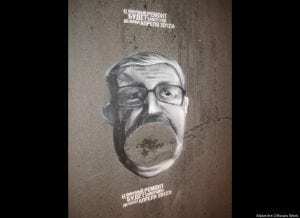 Throughout the country you can find works of art from famous street artists including Pavel 183.